What’s next for Cycle Safe? 1a) Did we get our manifesto right? What would you have in there if we wrote it again? 1b) Many senior politicians including Boris Johnson have pledged their support for the campaign, how should they be held to account and their track record assessed? 2) Local councillors and local government representatives have the final say on how money is spent in their area; how do we reach them and convince them this is important? 3a) What are the priority issues that need to be addressed to make London and other cities fit for cycling? 3b) What are the short, medium and long term opportunities to make London and other cities fit for cycling? 4a) What articles should The Times commission to encourage non-cyclists to support the aims of the campaign? 4b) Are there campaigns/organisations that The Times should support/partner with to achieve the aims of the Cycle Safe campaign? Did we get our manifesto right? What would you have in there if we wrote it again? Bigger focus on children and future of our cities. Otherwise, very good? 20 mph should be default speed limit in all urban and residential areas regardless of cycle lanes or not. More emphasis on adopting best European practice – learning from those countries that are successful. Freight consolidation centres and night-time deliveries. Sensors on lorries don’t help if drivers on phone and not paying attention. 20 mph zones need to be polices, problems in Edinburgh in 20 mph residential zones where cars are speeding and going on to pavement to avoid speed bumps. Ask non-cyclists what they need to see to be tempted onto a bike and work from there. Every local authority (or group of authorities) to have a specific officer in charge of cycling (and walking) and to liaise with local cyclists etc – no fake consultations. Don’t have a manifesto with specific policies. They know how to do it. The information is out there we just want it to get better. Let the councils decide how. 20 mph on all city roads. Cyclists and pedestrians don’t just get killed/injured in residential areas. I think the manifesto is good, but I would. There’s a lot of data on the number of cyclists and accidents out there already, does it need to be in the manifesto or replaced by something else? Encourage cycling training at schools? – Make change in subjective safety a target. See DfT surveys etc. Why for 500 most dangerous junctions? Why not if there is a certain level of danger deal with them even if turns out to be 5000! Dutch-style infrastructure – cycle tracks – the populace wants it! Not quite, look at southwark cyclists manifesto: all about stopping ’intimidation’ of cyclists either by segregation on main roads or calmer residential routes. Check their website for their very detailed manifesto. We have, have, have to move this beyond simply a cycling issue. We cannot simply appeal to common humanity around road traffic incident/victims and move to making it a children walking to school and pedestrian issue. The dutch won this around ALL road victims. Ask people who don’t cycle! Local councillors and local government representatives have the final say on how money is spent in their area; how do we reach them and convince them this is important? Getting people to support cycling in the first place should automatically make it an issue councillors want to take on board. Look at the benefits of other road users too, particularly walkers, safety of kids etc. Suggest that all interventions are not costly. ‘except cyclist’ signs under every ‘no entry’ sign is cheap as chips or should be. If your street goes 20 mph we will cut council tax by 2% because we know that money will be saved! Residential car parking is always a heated debate. More cycling will ultimately help in this regard. Name and shame bad councils – seems to have worked in Waltham Forest. Public embarrassment the only way to get past the complacency (and corruption frankly) of many rotten boroughs, of all stripes, where councillors have jobs for life. Get them to cycle through identified hotspots and explain how these locations could be made more people-friendly. Attention to Dutch protests of 60s/70s demanding cycle improvements – improvements possible with political will. When there is a death, single them out! Invite them (or even pay them) to book on David Hembrow’s cycling study tour Drenthe, The Netherlands. Next tour September. Events like Skyride show how popular cycling is, especially for kids and families when a safe space is provided. Politicians under-estimate how much support there is for cycling. What are the priority issues that need to be addressed to make London and other cities fit for cycling? Safe enough for the 8 – 80 year old to be happy cycling. Take a look at Bristol’s 1 hour street closure every afternoon after school! Get more people to run Saturday cycle clubs in schools. In Bromley the Saturday GoRide is so popular there is a waiting list and they can’t get enough club leaders. They are splitting it in two to give it to more kids but with less attention each. Make traffic law enforcement a priority. Road crime is real crime. Get more police on bikes. Recognise that some travel modes present more danger to the public and act accordingly in enforcement. 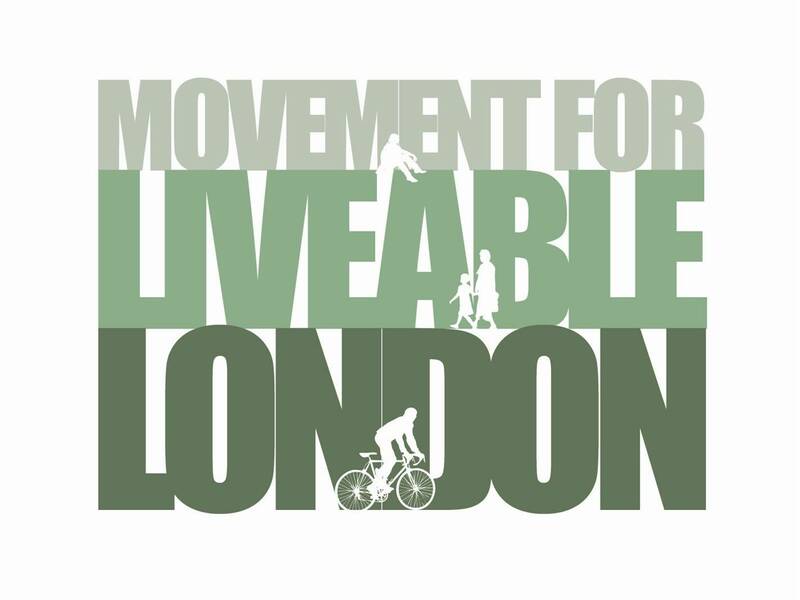 Take on the Evening Standard and take on their anti-cycling stance. Deliveries to shops before 7 a.m. and after 12 p.m.
1000 Londoners killed in 10 years on our roads. How many speeding or driving carelessly tickets have been issued by the MET! Reduce speed – 20 mph as default speed i all residential and urban streets. Policing of motorcyclists’ behaviour is needed. Encroachment by motorcyclists on cyclelanes/ASLs is now endemic. Reduce parking – if you have to walk half a mile to get to your car you think twice before using it. Reform police/CPS/courts. Currently they don’t care. Get Boris to change the cycle prevalence target – 5% modal share by 2026 is too small and far too far away. Make roads less accommodating of car usage and let the rest take care of itself e.g. Hackney and permeability. Dutch-style infrastructure and road laws of course. Coupled with community cargo bikes! Discourage unnecessary overtakes – pinch points, 20 mph zones, narrow lanes. Easier to mix transport – leave bikes at rail station, take bikes on trains etc. Cycle storage (residential) on-street so that its as easy tp take the bike as the car. Shared spaces with pedestrians. Badly organised ones are creating a division that is stopping the debate getting beyond the ‘inconsiderate cyclist’ stereotype. Introduction of assumed liability as in many European mainland countries. Traffic calming more important than specific bicycle infrastructure. Cycle lanes that are fit for volume of bikes. Better roads with fewer potholes.